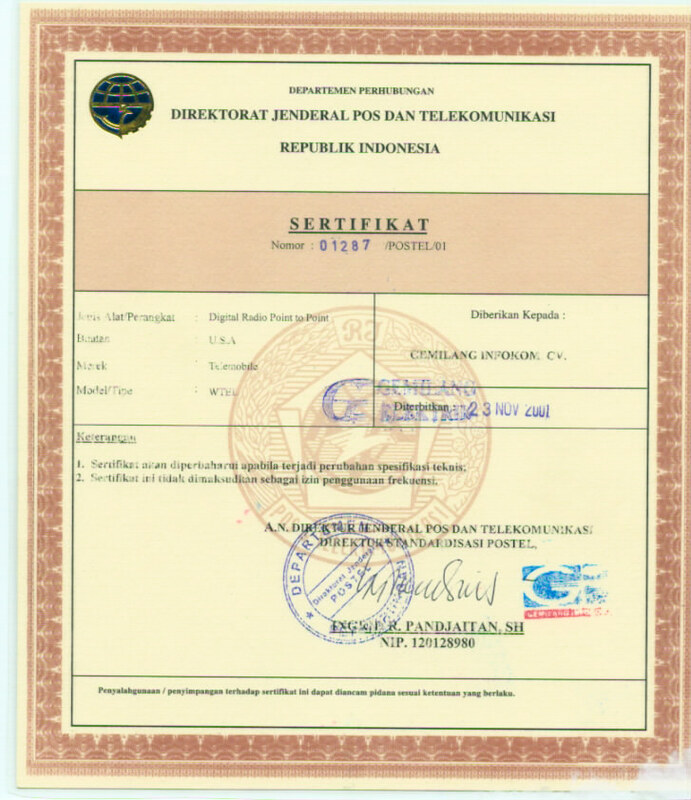 Telemobile has recently received Indonesian approvals on our PHONELINK Point-to-Point Wireless Links for voice, fax, data & Internet access. 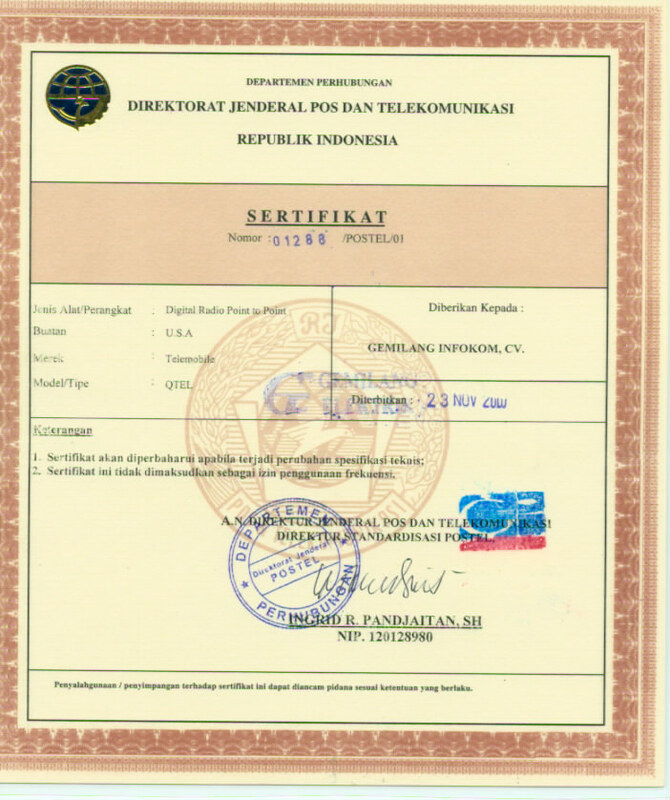 These approvals have just been signed off and registered by Telecom Indonesia. 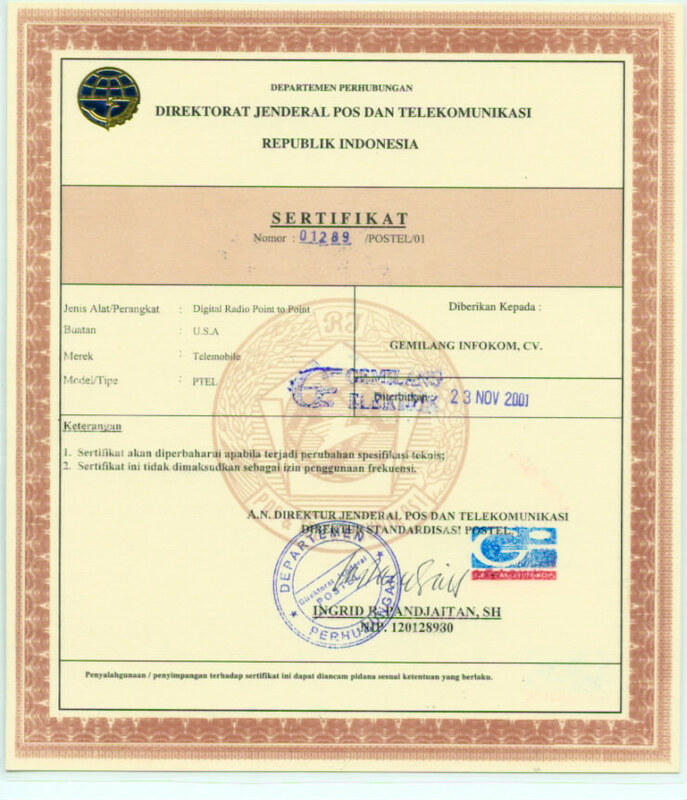 Attn : Mr. Donny Widyatmoko. Contact the above or Telemobile’s own regional office (in India) for more information. Mr. Prakash Shellikeri - Regional Manager, Asia.